Gastropod mollusc larvae. 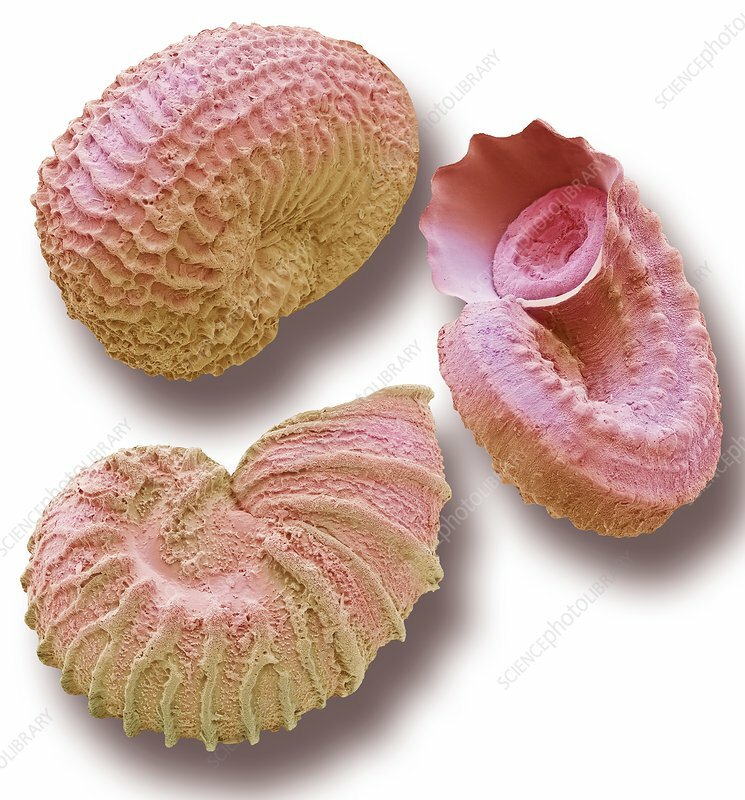 Coloured scanning electron micrograph (SEM) of shells of an early stage in the larval development of a gastropod mollusc. These larvae were found in a marine fish tank. Magnification: x40 when printed at 10 cemtimetres across.